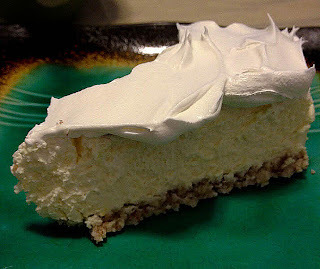 I think cheesecake is one of the best desserts to have as a low-carber because other than sugar, you don't really need to substitute most of the other ingredients, so you don't have to sacrifice much on the taste. Prepare a springform pan. I like to put a piece of parchment paper over the bottom of the pan; no need to cut it to size, just snap it into place when you tighten the sides of the pan. 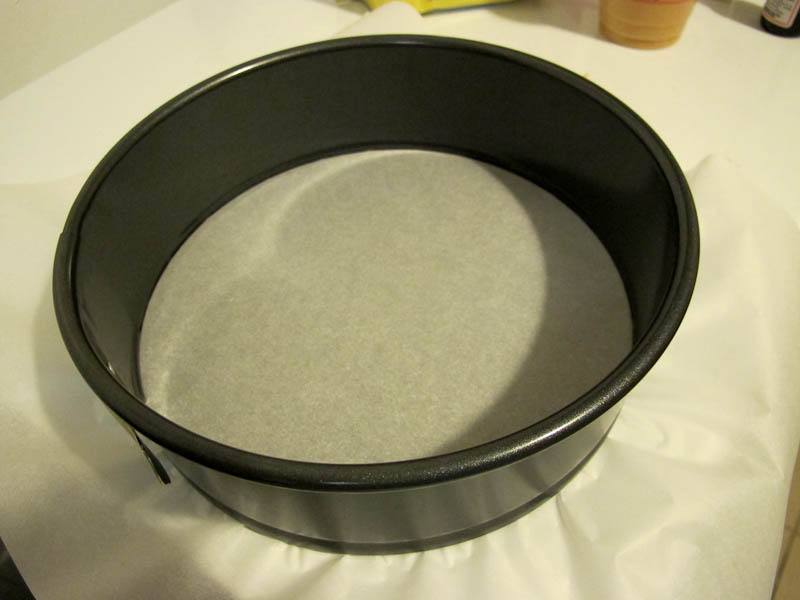 The parchment paper makes it easier to move the cheesecake to a nicer serving plate once the cake is done. Butter the sides and bottom of the pan, including parchment. Wrap the outside of the pan in heavy-duty foil to protect it from leaks. If you don't know what a springform pan is, here it is. Combine ingredients for crust. 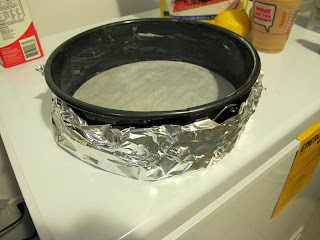 Press the mixture into the bottom of your springform pan. Bake for 8 to 10 minutes until fragrant and beginning to brown. Remove from oven. Gather ingredients for the filling. Beat cream cheese until fluffy. Scrape sides of bowl and beaters. 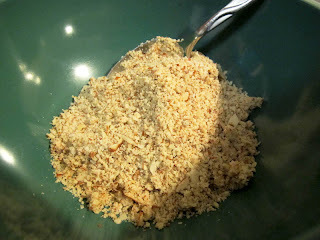 (The mixture will gradually become lighter as you add in the rest of the ingredients, and the denser stuff will cling to the bowl. If you don't scrape, you won't be able to incorporate the remaining ingredients as well.) It is important to scrape, add the ingredients gradually and beat properly. Otherwise parts of your cheesecake can be eggy (ick). I learned this the hard way. Add sweetener, vanilla, salt, and 2 of the eggs. Beat well, scrape. Add the other 2 eggs. Beat well, scrape. Add lemon juice, lemon zest, and cream. Beat well, scrape, and pour filling mixture into the pan over the crust. In another bowl, mix together ingredients for topping and set aside. Place a baking pan large enough to hold your springform pan into the oven and fill it halfway with boiling water. Place the springform pan into the baking pan and bake for about 60 minutes (give or take 10 to 15 minutes), until the cheesecake is mostly set but is still wobbly in the middle. Remove cheesecake from oven, spread the topping over the cheesecake, then bake for an additional 10 minutes. Cool to room temperature (1 to 2 hours), then chill completely for several hours before serving. If you'd like, put 2 tablespoons of Cool Whip on every slice. It contrasts well with the tart lemon flavor. 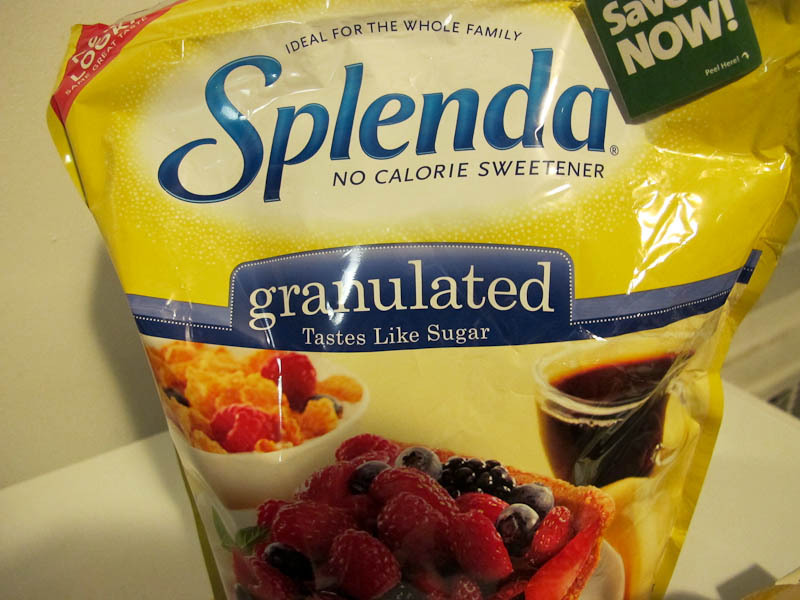 Nutritional Information: Each of 16 servings has 3 grams effective carbohydrate plus 1 gram fiber, 7 grams protein, and 295 calories. Cool whip adds an additional 2 grams of carbs per serving. Good recipe. Better than most. I actually made this crustless, mainly because i personally cant stand nuts. Im gonna try this with a sugar free cool whip topping mixed with sugar free strawberry jello. Glad you like it! And glad to know it work crustless, because I'm with you on the nuts ruining a creamy dessert. Your spin on it sounds great, too. I have made this before and it is wonderful! Wondering how you would tweak the recipe to make it in a cupcake tin? We are having a party and I really want to make this and be able to serve as many people with it as I can! That's great, thanks! I've personally never tweaked it for cupcake tins before, but other mini cheesecake recipes bake for 22 minutes at 350, so I would tweak this part: "Place the springform pan into the baking pan and bake for about 60 minutes (give or take 10 to 15 minutes), until the cheesecake is mostly set but is still wobbly in the middle." And make it 22 instead of 60 minutes. Then keep checking for the consistency. Hope you're successful and let me know how it goes! What can you use instead of a springform pan? 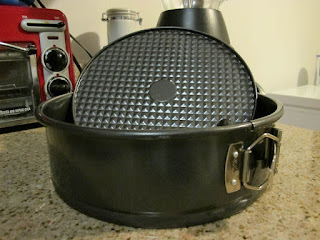 I don't have one and since this is the first recipe I've seen that requires one, I don't want to invest in one. Thanks! Don't worry about the springform pan, Phyllis. A regular pie pan or cake pan will do just fine, too. People only use springform pans so they can take the sides of the pan off and leave the bottom of the pan underneath the cheesecake to easily transfer it to a cake stand after baking.